Pointy, with curves for days. 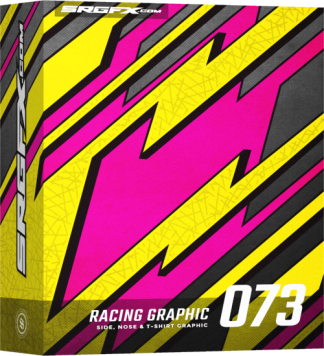 T-shirt racing graphic 5 is a wavy vector racing graphic with long, flowing curves and razor sharp points. Useful for an aggressive appearance on any promotional media. Of course colors can be easily changed to meet any scheme or style. Pointy, wavy, curvaceous t-shirt racing graphic. Points? Check. Waves? Yep. Curves? Oh yea, we have curves. Put all of those traits together and you get t-shirt racing graphic 5. This t-shirt graphic vector not only combines these classic design elements in a manner that not only catches the eye of you, the designer, but your customers and consumers alike. Not only do the waves and curves combine into sharp points, but they do so in a very appealing, attention grabbing contemporary style, accented by a riveted metallic diamond plate shield backdrop. But why stop at just t-shirts and promotional materials? 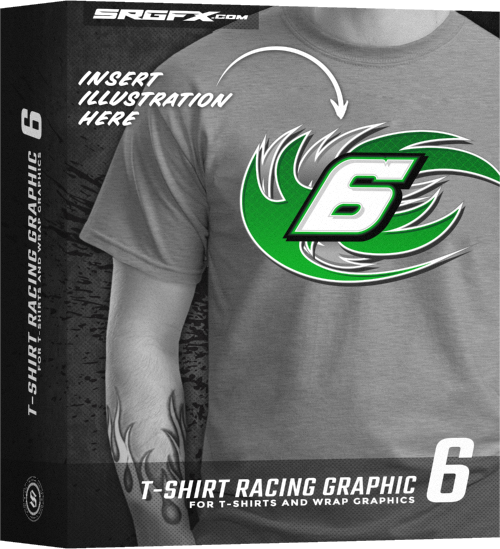 T-shirt racing graphic 5 would be perfectly used for race wraps as well! Talk about bang for your buck across the design spectrum! 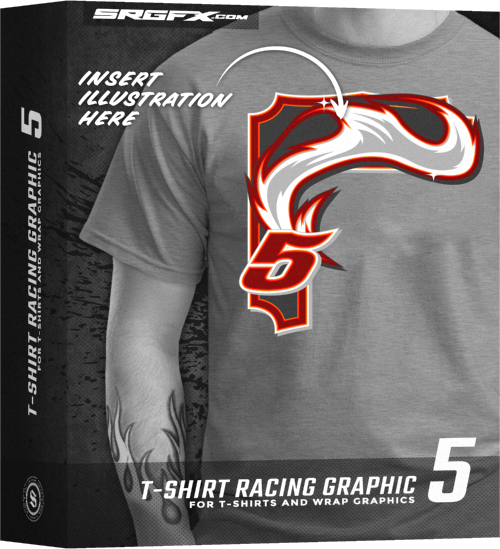 Furthermore, T-shirt racing graphic 5 is easy to use. The graphics are easy to slide (clip, layer, mask, powerclip, etc.) 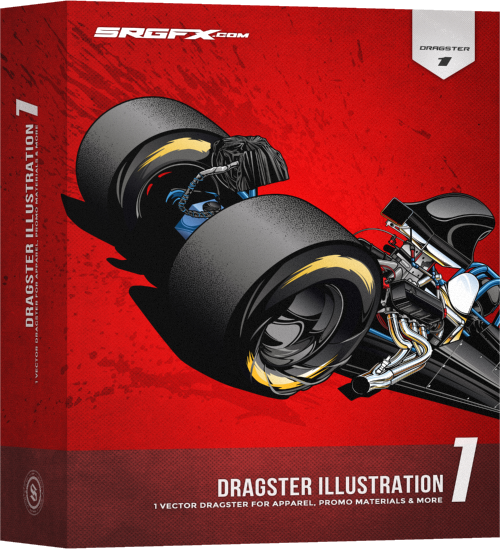 behind SRGFX vector race car illustrations for t-shirts and promotional materials. 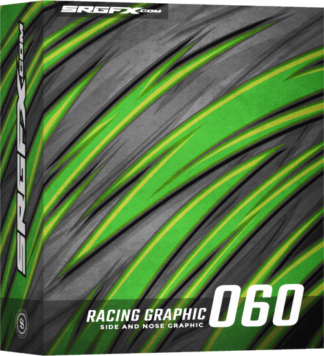 The combination of these two products gives you the complete vector racing graphic t-shirt package. 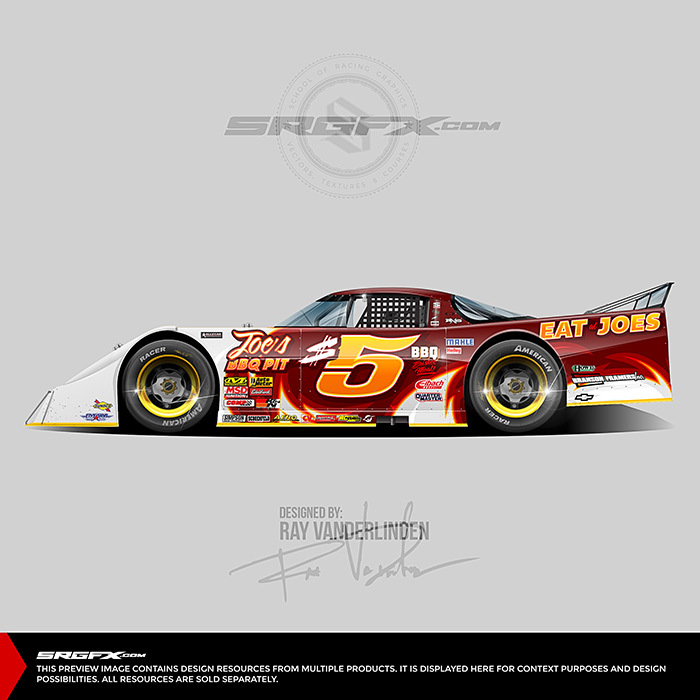 So weather you use SRGFX race car illustrations or combine the graphics with your own race car illustrations, the project is a cinch. In addition, the graphics are vector, easy to resize and also simple to modify and customize. As a result, you will easily modify the graphics creating unique art for each of your projects. So feel free to warp them, cut them, break them apart and combine them with other vector graphics to create something completely new. 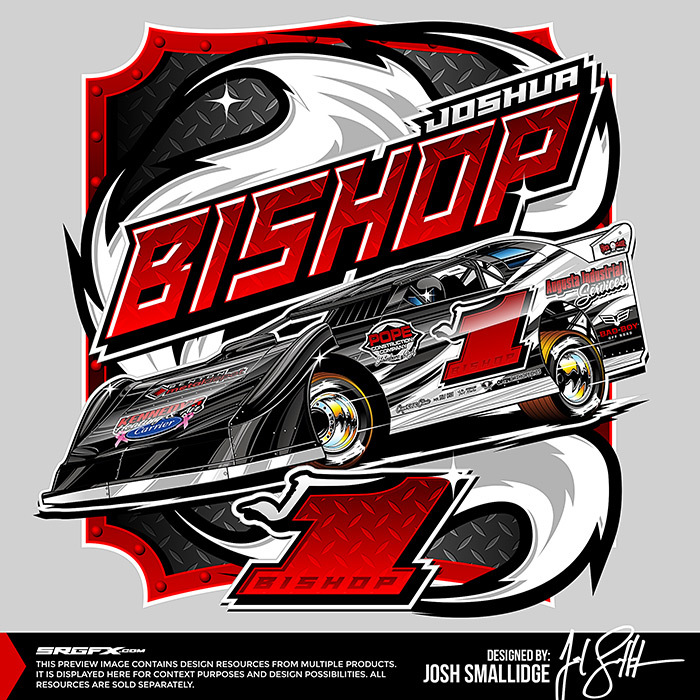 The preview images on this page contain a fully designed “Joshua Bishop T-shirt Illustration” and a fully designed “Joe’s BBQ Pit Asphalt Outlaw Late Model“. These preview images contain multiple products and are NOT included in this pack. 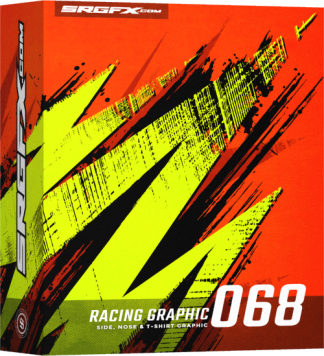 The images are shown here to provide context, design possibilities and design inspiration using SRGFX T-Shirt Racing Graphic 5. I’ve used this graphic setup many more times than I had originally thought I would. What first sold me on this graphic was the Bishop design. I wanted to create something similar for a customer and was excited to have a layout right there for me to reference (I wish you did that with more of your tee designs). However I’ve used the sparks on almost every project since. I couldn’t be more pleased!